Day two of the event at twofour54 in Abu Dhabi, which held 3 different sessions running in parallel. The first session covered Blackberry development the other was covering development for Symbian and the last (the one we attended) was the iPhone iOS basics. The key speaker was Amir Jahanlou from SAE Institute Dubai, he specializes in developing apps and 3D games. Amir started off with explaining the advantages of developing for mobile which include independence and exposure he mentioned that there are over 225 million users on iTunes of which around 12 million users are actively buying apps. Therefore there is an audience worth capturing. Another important fact that was mentioned is that now developers have a wide range of resources to learn from unlike the early days of mobile development where everybody was a beginner, now there is a vast library of video tutorials on Youtube, great deal of books, forums and of course the Apple developer portal. And that is pretty much it, Although it is important to test an app on an actual device before going live it is not needed because you can still develop and launch an app without a device, but that isn’t recommended. However to test the app on a device you require an Apple developer account. The drawback with only using Xcode is that it will not be of any help if you want to develop on any other platforms. This is where the Airplay SDK comes in this SDK can be used to develop on cross platforms enabling you to develop an app on iOS and then deploy it on virtually any other platform. However there isn’t to many resources just yet for developers to utilize that is why Amir suggested to start with Xcode and start getting into Airplay for the future. Amir then went about demonstrating how simple and powerful Xcode is by building a couple of simple apps for the iPhone, and then using the simulator to show the entire audience the result. This went on for a couple of hours since it was very interactive and members from the audience were participating in the development of the apps. Since Xcode doesn’t have any sample code you can download and view some sample code from the Apple developer portal. Also a very important note that was mentioned in many blogs earlier last week is that there is no garbage collector which can be more time consuming for a developer. According to Amir 20% of the Appstore’s 350,000 Apps consists of simple apps such as the ones he developed in front of us in the session. So quite literally anybody can develop an app given all the tools above are available. After Lunch, the discussion became less technical and more focused on the iOS interface design, how to make money from and how to market an app. 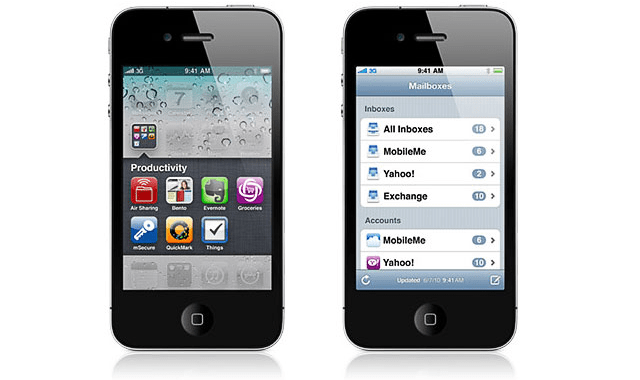 The neat thing about the iOS interface design is that it is timeless. The design since the first generation has been the same and not been changed, unlike the other platforms. And developers have to keep that in mind the guys at Apple have put a lot of thought and effort to develop this interface so think twice before changing or using a different elements. limited preferences, don’t give the users to many options or customization options, just give them one really good option that the majority of the people will like it and now how to use it. Limited drilling, by which you shouldn’t categorize your content to multiple levels where the user would have to keep drilling through pages and sections to get the information they’d like. Instead use the table design and a search box. Finally Amir discussed how to market and make money from apps and made it clear for all that as a developer it is good to aspire to reach the success of Angry birds, however you have to be realistic with your expectation and it was stated that Angry Birds developers had developed hundred of apps before they got to Angry Birds and most of them were complete flops. It is also important to keep publishing apps, you may not make money from one however if you have a number of applications the total may add up as well as gaining a wealth of experience. Once an app is ready for launch you have to market it by every mean possible on social networks, getting the word out on blogs and review websites, forums and even advertising on the local paper if your app is relevant. Developers have to remember in order to be considered as a successful application and/or developer your app has to be downloaded at least 43,000 times.